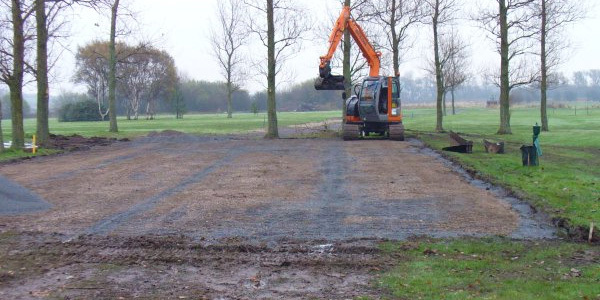 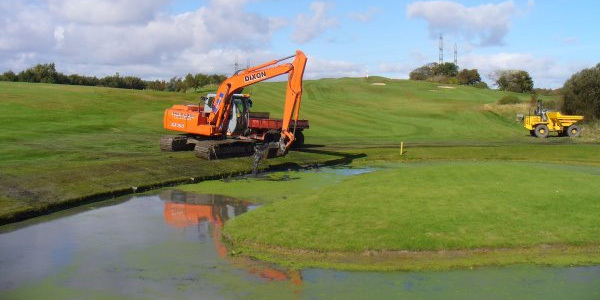 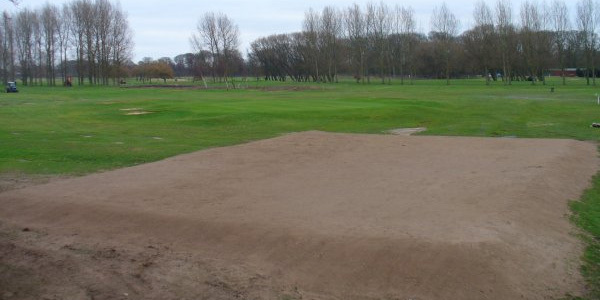 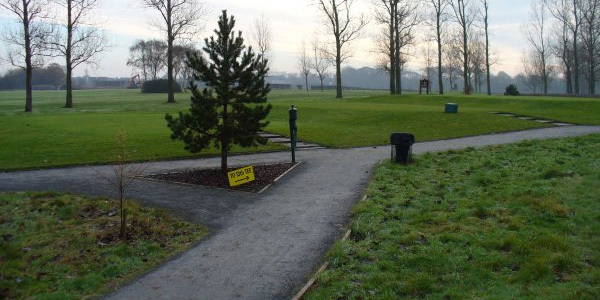 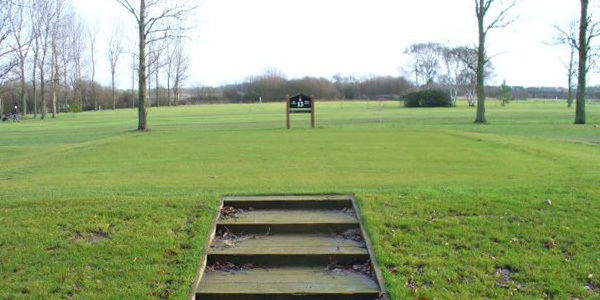 Working with Golf Courses across North West England, we pride ourselves on the quality of work we undertake with minimal disturbance. 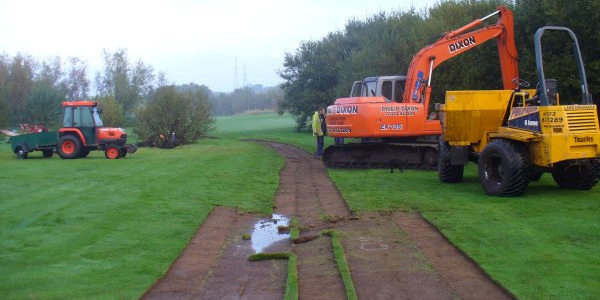 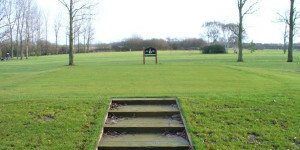 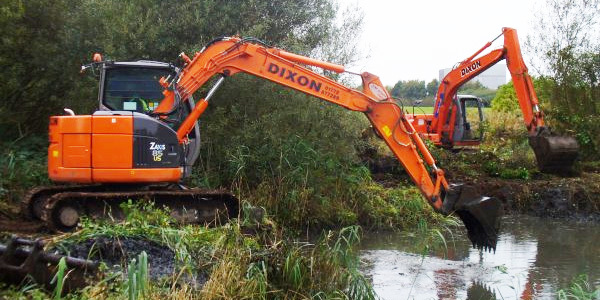 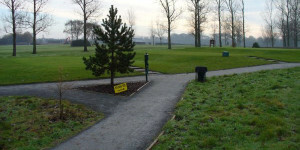 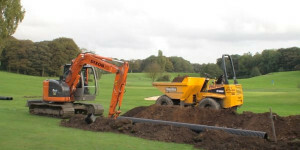 From installation of primary drainage through to creation of ditches,Tees, Greens through too construction of bridges. 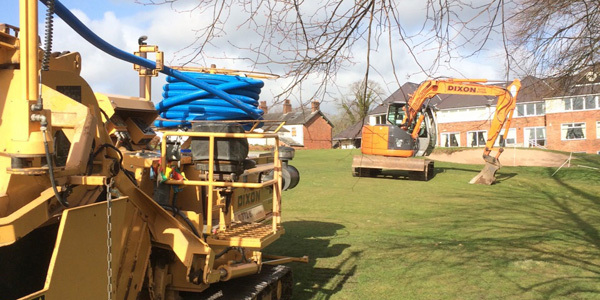 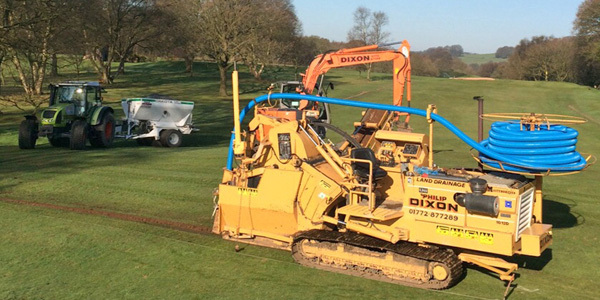 Installation of primary drainage system using a Mastenbroek trencher fitted with laser leveling equipment. 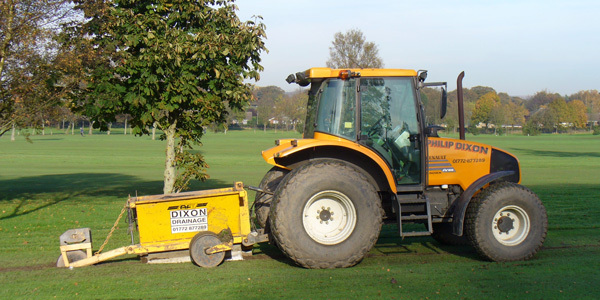 The trencher is also fitted with an elevator which removes excavation spoil directly into following dumpers to be taken to the designated tip areas within the golf course. Larger diameter twin-wall pipe can be installed using tracked excavators. 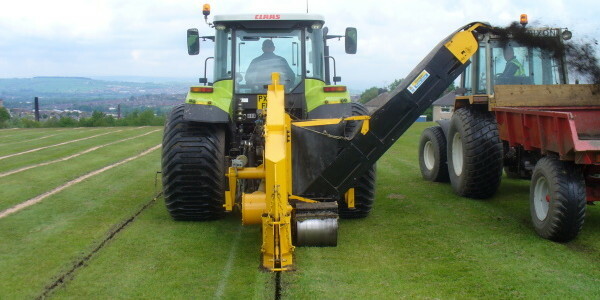 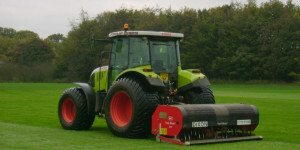 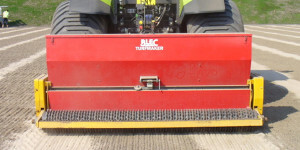 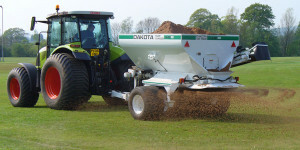 The dumpers are fitted with low ground pressure tyres to minimise the impact on fine turf sward. First stages of preparation for ditch creation. 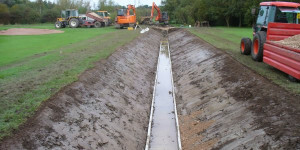 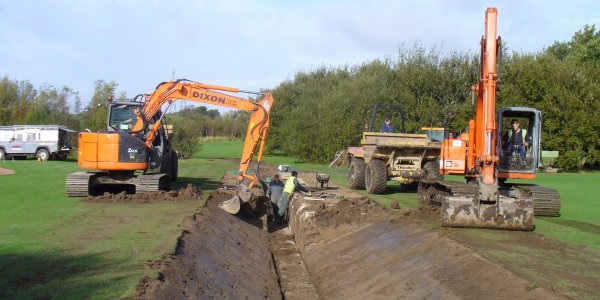 Installation of ditch sides to protect from erosion. 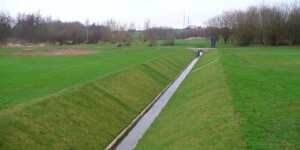 Ditch completed sides using either turf or seed.